Wabash Cannonball Live from The Octagon of Doom!! Posted on 20. Feb, 2010 by Corey in All, NCAA Basketball. 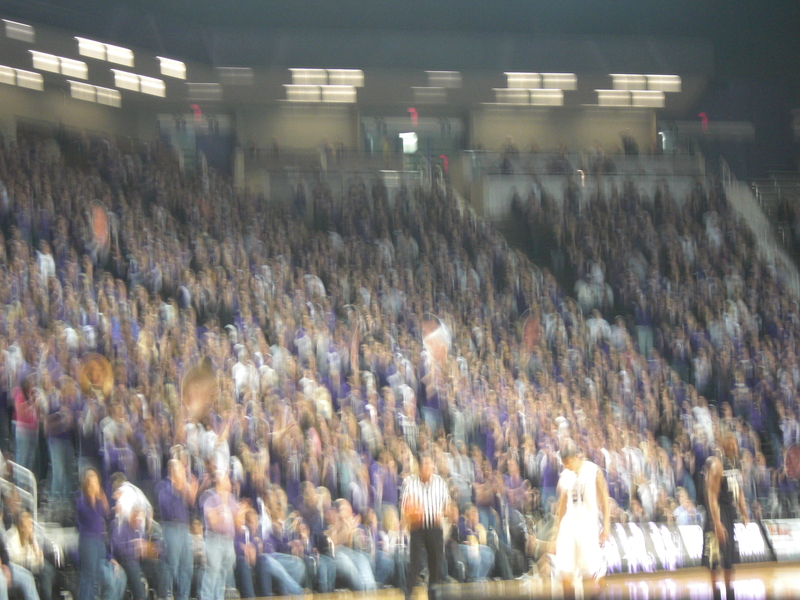 I have talked about it several times on this blog how much I enjoy the Kansas State Fans doing the Wabash Cannonball. I had the opportunity to be in Bramlage Coliseum for a few games last week and got my own video of the students doing the cannonball. Please watch the clip below of this during the game against Nebraska. In case you missed the article, and have no idea what the Wabash Cannonball is, please click HERE to check it out.